A leaked promotional video for the new Zune HD shows off its confirmed features, including a glimpse of its capability to download and play games. Although the video was a leak apparently from Buy.com, it confirmed the portable device will be directly competing with Apple’s iPhone and Sony’s PSP. The promotional video (see below) shows a clip of a 3d game, which reviewers thought possibly could be “Burnout” or “Forza 3 Motorsport.” In today’s announcement, Microsoft confirmed a few games for the Zune HD — “Project Gotham Racing: Ferrari Edition,” “Vans Sk8: Pool Service” and “Audiosurf Tilt — will be available to download later this year. The Zune HD acts as a jukebox for your HDTV, playing HD movies at 720p via an optional AV Dock . The small 3.3-inch OLED display will also display movies at 480×272. 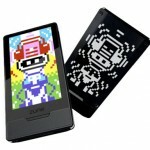 Zune HD can also pick-up HD radio broadcasts (which is a free service.) However, if connected to Wi-Fi, the user can immediately tag, purchase and download a song. Songs can also be downloaded later via PC. Artist views will give you song and artist information for your MP3s. The Smart DJ feature will allow you to create endless playlists, and will provide song recommendations. A built-in browser allows you to check your email, read news and view traffic reports. Facebook and Twitter integration are expected soon. You’ll also be able to sync with your PC wirelessly. 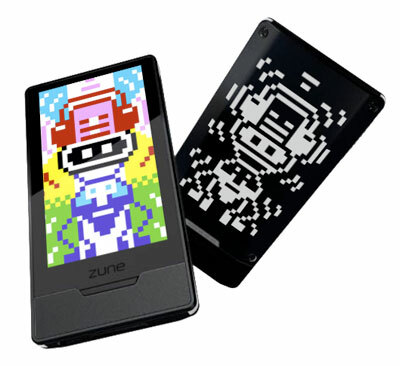 “Zune Originals” (available at the Zune store) allows you to customize your Zune with colors, patterns and inscriptions. The 16GB model Zune HD retails for $219, while the 32GB model lists for $289. The optional AV Dock which you need to connect to your HDTV retails for $89. some of them should be free, although maybe some will be more premium. maybe the portables will come bundled with the full versions. so are these games free downloads?